Hello again, It’s a small world. I have just bumped into the mother of the BBC producer who tried to protect me the other week from a small but very nasty bunch of yellow vested protesters outside Parliament. It turns out he is Chris Gray, formerly of George Spencer Academy, and his mum was having lunch in one of my favourite Beeston cafes. Not surprisingly she is very proud of him and my Chief of Staff, Sean and I are very grateful to him. Have a great weekend. Government guidelines clearly state hospitals should not charge certain staff for parking on site. 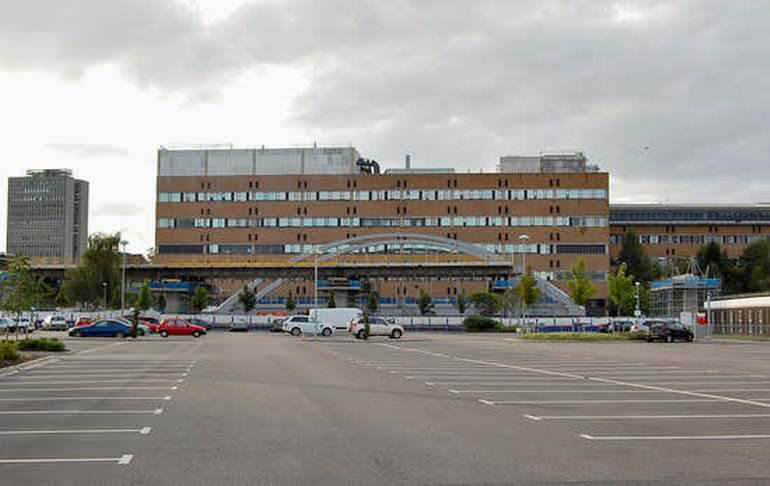 The majority of hospitals do not charge staff for parking but unfortunately our two hospitals, the QMC and City who operate as Nottingham University Hospital Trust (NUHT), take a different view. Following complaints from constituents I have backed their campaign against the charges and have accordingly written to the NUHT Chief Executive Tracy Taylor asking them to abandon this unfair practice. Broxtowe’s Citizen’s Advice has launched a service to support first time Universal Credit claimants. UC was introduced in Broxtowe at the end of last year for new claimants. Please contact Beeston CAB on 0115 917 3802 or Eastwood CAB on 01773 768 363 or my office on 0115 943 6507 if you need help with your claim. Nottinghamshire County Council will not change its plans to close Town Street in Bramcote for 7 weeks to carry out important safety work on the Devils Elbow bend. The closure begins on Monday 11th February and in reply to my email of last week the County Council confirm they have considered all options and the works will be from 7.30 am to 5.30pm and at the weekends. The road will be open to pedestrians and cyclists. The local Lib Dem County Councillor Steve Carr has emailed me to say the works have his full support and I do believe that regrettably there is no alternative than a 7 week two way closure. Don’t p-p-p-pick up a penguin! 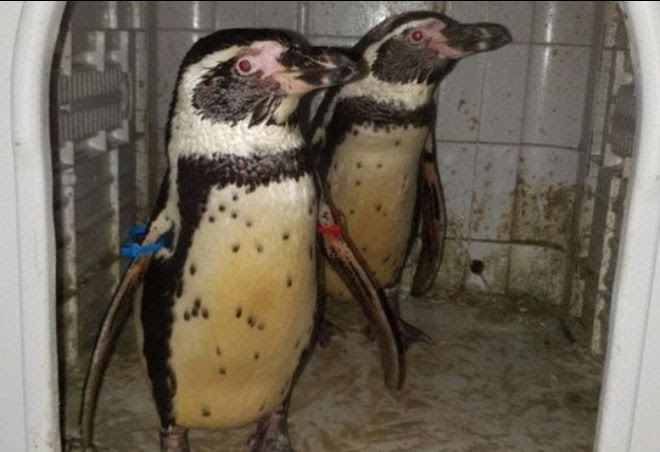 A private conservationist in Strelley Village got a shock when he found that two Humboldt Penguins he had bought for his collection had been stolen from a zoo in Cumbria. He dutifully called Notts Police. A man was arrested and the penguins returned to the zoo. Read more here. Following my visit to Highfields Fire Station I was pleased to get an assurance from the Fire Minister Nick Hurd about plans to protect their budget in the forthcoming spending review in this weeks Home Office Questions. Please click here to watch or here to read my question and the encouraging answer. I have also welcomed the publishing of a new Bill to further tackle Domestic Violence which has been praised by MPs from all parties. However I am concerned at reports that our local police and even the Ambulance Service are not training officers and technicians on the existing laws. Please click here to watch or click here to read my contribution. As a former criminal barrister practising mainly in Nottingham I keep in touch with friends involved in the criminal justice system. I fear that it is on the verge of a crisis and I joined in on questions on Wednesday about failures in the IT system. You can read my contribution here . Previous Is There a Fleet in Harbour in the Bramcote Area? The replacement barrier is long overdue and having personally pressed for action following it being raised at several CAT meetings it must be installed soonest to avoid a serious accident occurring on this dangerous bend. I have asked the Council to consider opening the road in the evenings but they have indicated this will not be possible as the large installation equipment has to be left on site 24/7. I asked the bus coming to consider coming into the village exiting either via Church Street or Cow Lane. After consideration they indicated that to have a 30 foot bus entering or leaving both roads would not be practical or safe. Our only hope and wish expressed to the County Council is that the work can be undertaken in a shorter time than anticipated.